1. Is pet waste OK to put in my compost? Dog and cat waste should not be added to your compost due to bacteria and parasites that can cause disease to humans. Pet waste also attracts rodents and flies, which also carry diseases. (Some areas have ordinances against composting some food items for this same reason). 2. Why does my dog eat feces? Some dogs view feces as a form of food. Some dogs prefer horse, rabbit, and / or deer feces while others prefer to raid the cat litter box. This practice is known as “Coprophagia”. In the past it was believed that dogs ate feces due to poor diet, poor health or a diet deficiency. The reality is that dogs are simply scavengers and may view feces as food. A mother dog must stimulate her pups to urinate and defecate by licking their bottoms, which also serves to keep the den area clean. This behavior may be carried over into adulthood. The best way to discourage this habit is to keep your yard free of pet waste. 3. What health risks are associated with pet waste? There are many health risks associated with pet waste. Parasites and bacteria found in pet waste can infect you, your family and your pets. 4. Does Underdogs pick up pet waste in the winter too? Absolutely, pet waste should not be left to accumulate in the winter either. Pet waste will break down over the winter, but the parasites are still very much a threat and are now in the soil just waiting to be picked up by people and pets. 5. Does Underdogs walk dogs? Not at this time but we hope to be able to offer a dog walking service in the future. 6. What do I need to do to prepare for Underdogs arrival for cleanup? Make sure your dog is securely in the house and that any gate is unlocked. If we are unable to access the yard we will not be able to provide service for that day. 7. Why do the first time and/or one time cleanings cost more? First time and one time cleanings generally take more time due to moderate to heavy accumulation of waste. 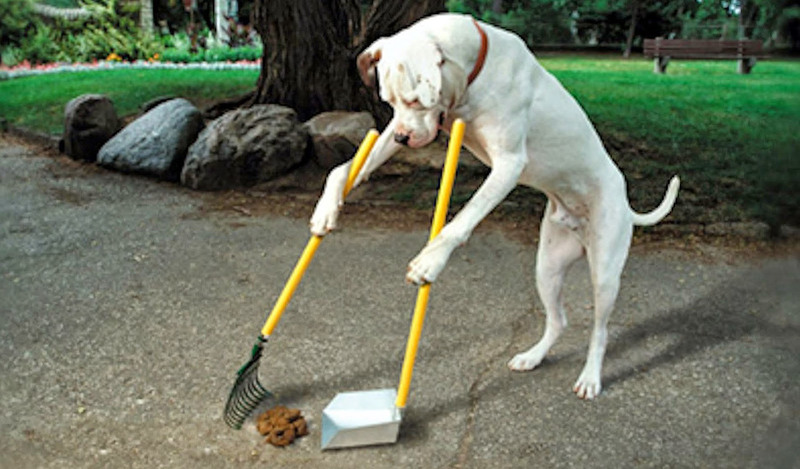 We will take the time needed to rid the yard of dog waste accumulation and then be able to maintain it over subsequent visits. 8. How does the Underdogs referral program work? If you refer someone to Underdogs and they sign up for regular service you get your next cleanup for free. Invoices are sent out on the 1st of the month and are due by 16th. Some customers opt to pay the entire year in advance and by doing so will receive a 10% discount. Underdogs accepts online payment with Visa or MasterCard. Checks or money orders can be sent to Underdogs at P.O. Box 1432, Orleans, MA 02653. 10. Will Underdogs clean my yard on the same day each week? Normally, yes. If for some reason we are not able to do so you will be contacted and we will clean your yard on the following day. If we need to change your service day we will notify you prior to doing so. 11. Does my dog need to be in my house on my service day? We require aggressive or territorial dogs to be kept in the house on the days that we arrive to clean. 12. Can I skip a week or a month of service? Yes, you can start or stop service at any time with no extra charge unless there is moderate to heavy accumulation when we restart the service. 13. Do I have to sign a contract? Residential accounts are not required to sign a contract. You can start or stop service at any time with no extra fee unless there is moderate to heavy accumulation of waste when we resume cleanup when we restart service. 14. Does Underdogs use a disinfectant after cleaning each yard? Yes, we spray all equipment and the bottom of our shoes after each cleaning with KennelSol disinfectant spray. This is the recommended disinfectant used by zoos, veterinary hospitals, dog kennels, and pet shops to kill parasites and prevent the transmission of disease. This spray kills parvovirus and parasites and is USDA, EPA, OSHA, and DOT approved. It is safe for you and your dog and can be used directly on human skin. 15. Does Underdogs clean during holidays? 16. Why hire a professional “Pooper-Scooper”? Having Underdogs clean your property means having a trained service person providing a service that saves you time and energy by removing unsightly waste so that you don’t have to. Our workers will also be trained to observe your pets waste for any abnormalities that may signify a problem with your dog’s health, and alert you to the problem that may otherwise have gone undetected. Yes, Underdogs is fully insured in case of any unforeseen accident or occurrence. 18. If Underdogs notices that my dog’s stool is abnormal will they let me know? Yes, Underdogs will notify you of any abnormalities immediately. 19. Does Underdogs clean cat litter boxes too? Not at this time, but are working on offering a cat litter box clean and exchange program to be put into place in the near future. 20. Is it safe to throw pet waste in the woods near my property? No, bacteria and parasites can easily travel into your yard through water runoff and though the air. The waste can also attract rodents, flies and other animals, which in turn can carry disease to your property.